Richard Angell recalls the moves a couple of years ago to have Progress, the organisation he directs, excluded from the Labour Party. Ungenerously, he omits to record that Len McCluskey spoke out, on behalf of Unite, against any such proposal. That is because our union believes in debate and in fighting the battle of ideas, rather than solving differences through bans and anathemas. Clearly, Richard is not overwhelmed by gratitude, since he singles Unite and its General Secretary out for aggressive criticism. As a strategy, it does, I suppose, divert from the tough questions which Progress and its supporters can’t answer – why did Labour lose five million votes (few of them to the Tories) between 1997 and 2010? How did Ed Miliband get more votes in England this month than Tony Blair did in 2005? But when he turns his attack on Unite, Britain’s biggest trade union, Richard displays the curious contradiction common to hostile commentators about the trade union movement. On the one hand, he demands that Len McCluskey should reflect the views and aspirations (to use the word of the week) of Unite members. On the other, he suggests Len should simply underwrite whatever the Labour leadership is doing or saying, no matter what Unite members feel. Take the matter of the Scottish referendum last year. 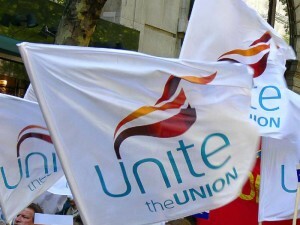 Unite’s Scottish regional committee – our lay leadership north of the border – decided to take a position of positive neutrality on the vote; noting that our membership was deeply divided, with strong feelings on both sides of the debate. Should their General Secretary just have ignored them and campaigned for the union irrespective of our members’ wishes? Apparently so, in Richard’s world. It is revealing if not surprising that Richard should just target Unite for their neutrality in the referendum while other Scottish unions who took a similar position go unscathed from his ire. And as for Jim Murphy, Richard is apparently taking the Brechtian position that, since the people have lost confidence in the leadership, the leadership must elect a new people. The change in the Scottish Labour Party was mandated by the voters of Scotland, not Unite. Richard then goes on to retell the untruth that Len McCluskey threatened to break the link with Labour if he didn’t get his way in the Labour leadership election. The opposite is true. Our General Secretary has in fact repeatedly made it clear that he is against disaffiliation. Nor has he indicated any preference in the leadership election. But does anyone really expect the General Secretary of Unite to ignore the concerns about aspects of Labour’s policies which have been growing among large sections of our membership over the years, concerns likely to only grow with the monotonous “pro-business” rhetoric dominating the post-election debate to date? Finally, Richard caricatures Unite’s position on Tower Hamlets. There, as everywhere else, we support and have supported all Labour’s candidates for public office, including John Biggs in the forthcoming Mayoral election. That cannot stop us working with elected officials from other parties or none particularly when they adopt a pro-union approach all too rare in local government, as Mr Rahman did. Richard can’t have it both ways. Either union leaders have to listen to their members, which may well mean politicians even in our own party hearing messages they feel uncomfortable. Or they have to behave like the “barons” of caricature and tell the membership what they should think and do. Of course, Unite’s General Secretary does sometimes have to give a lead too. I guess most Unite activists involved in the Labour Party are heartily fed up with Progress’s well-funded admonitions to move the Party right. Len McCluskey and Unite, however, will continue to argue for the right of Progress to advocate its views, no matter how abusively they formulate them.